Exhibiting at an AWC event gives you face-to-face interaction with city leaders and decision makers. Our exhibits provide attendees with access to the latest resources and solutions to help them provide municipal services efficiently and effectively. Labor Relations Institute is the premier training event for public sector human resources professionals in Washington. The Institute offers important legal updates, practical guidance, labor relations strategies and networking opportunities to help attendees navigate the complex and ever-changing world of HR. Note – attendance at the Institute is limited to those who solely represent the interests of management. AWC’s Annual Conference offers a city-focused agenda, with general sessions, workshops, networking opportunities, an exhibit and social events designed to maximize the attendee experience. This conference offers educational, thought-provoking and inspiring sessions about a wide variety of city issues. Through AWC's Member Expo, members of AWC’s Member Pooling Programs come together to learn more about how to maximize program benefits and invest in their employees. This event provides educational sessions featuring information that helps attendees extract the greatest value from AWC services and programs, and provides an update on rates, trends, loss prevention, and new laws and legal opinions. 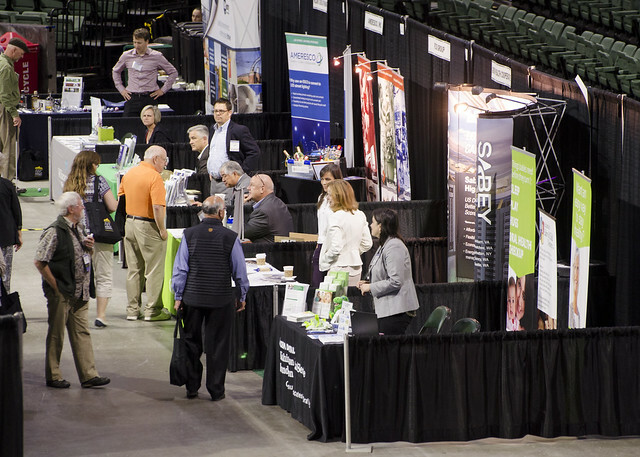 Note – attendance at the Expo is limited to those jurisdictions that are members of AWC’s Employee Benefit Trust, Risk Management Service Agency, Workers' Comp Retro Program, or the Drug & Alcohol Consortium. City Action Days is offered annually at the beginning of the legislative session. Attendees receive important updates about city priority issues and how the legislature may, or may not, support them. The conference provides an opportunity to connect with legislative and executive branch leaders, and educates attendees about how to communicate with legislators and how the legislative process works. National experts inspire innovation. The Healthy Worksite Summit brings wellness coordinators and other professionals together for a day of exhibits, panel discussion and interactive workshops to promote idea sharing.